An interactive map with photos and descriptions of some hotspots. 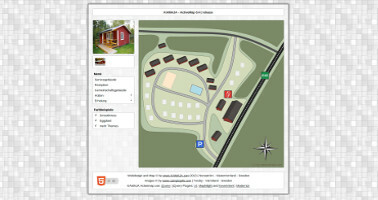 Used for example as campingsite map, walkingmaps and floor plans for the sale of a property. 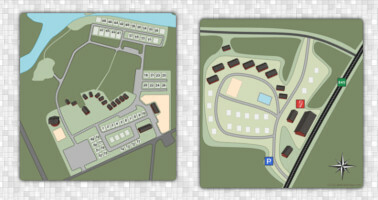 We create your on request campsite maps and floor plans of homes and holiday homes, to use this till example with KAMAJA ActiveMap. 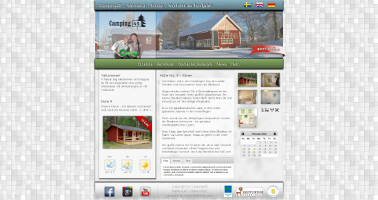 A website specifically for campsites and holiday homes. You are looking for a complete solution for managing your website, you want to show your customers the actual meteorological data and current exchange rates, a scheduler for free and busy times of your holiday home, rentalobjekts or Sleeping place. We put all this together in a CMS. At this point, we use the WebsiteBaker with its various modules.